Hat City Pawn welcomes your inquiries about any and all pieces of jewelry that you think may be of value. We are always interested in buying gold, silver, platinum or palladium jewelry. You may also use jewelry as collateral for a pawn loan. In fact, jewelry is one of the more common items used for pawn loans. While we take in anything of value and even anything we think we can sell, jewelry is the ideal collateral for a pawn loan. Jewelry often holds its value well and many people have jewelry sitting unused in their homes. If you need to free up some cash for a rainy day, you may want to consider pawning your jewelry. At Hat City Pawn, we assess the value of your general merchandise items based on their retail value. Our pawnbrokers rely on their years of experience and refer to online auction sites when necessary to accurately value your merchandise. We try our best to offer you the highest possible price for your goods. However, we offer prices according to the current market. Silver and gold jewelry is valued differently than general merchandise. We use a nondestructive acid test to accurately measure the value of your silver and gold jewelry. The nondestructive acid test measures the purity of precious metals. Purity is gauged by 10K, 14K, 18K, etc. After determining the purity of your jewelry, we weigh each individual piece and make an offer based on weight and purity. We will pay the highest price for silver and gold jewelry. Our prices will not be beat. Pawning jewelry is a quick, easy and discreet process. You can be confident that your jewelry will be kept safe and secure for the duration of your pawn loan. If you desire to reclaim your jewelry, you simply need to repay your pawn loan within the designated time period. If you decide not to reclaim your jewelry for any reason, you can simply allow the loan period to expire. Many people are reluctant to pawn their jewelry because they are worried they may not be able to pay back their loan within the designated time period. This is understandable since jewelry often holds sentimental value. At Hat City Pawn, we understand that life is often unexpected. If you are for some reason unable to pay your loan within the designated period of time, you can apply for a loan extension for an additional charge. This loan extension will give you extra time to pay back your loan. We will work with you to ensure that you are able to reclaim your jewelry. We’re always interested in evaluating jewelry for our customers. 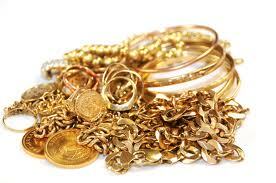 If you have jewelry that is unused or unwanted, why not pawn it or sell it outright? Stop by today to see how much your jewelry is worth.